Griffith Park covers more than 4,107 acres of natural terrain. Located right in the middle of Los Angeles, it is one of the largest municipal parks in the United States. Griffith Park is so big and has so many things to do that it's hard to think of it as a "park." At least not like the one down the street with a slide, swings, and two picnic tables. If you plopped it down in San Francisco, its 6 square miles would cover one-eighth of the city. It's five times larger and far more untamed than New York City's Central Park. Some of the things to do in Griffith Park are manmade, like the zoo and museums. It also has some excellent hiking trails through natural terrain. How did such a big public park end up in the middle of busy, crazy, urban LA? You can thank Welsh immigrant and self-made millionaire Griffith J. Griffith, a man whose first and last names were both Griffith. In 1896, he donated 3,000 acres to the city of Los Angeles for a city park. This list of things to do at Griffith Park is in counter-clockwise, geographic order. It starts at the entrance at Los Feliz Boulevard and Crystal Springs Drive. Griffith Park is open to the public from 5:00 a.m. to 10:30 p.m. Bridle trails, hiking paths, and mountain roads close at sunset. Weekend public bus service runs from the Vermont/Sunset Metro Red Line station to the Griffith Observatory. Oher public transit options are spotty at best. You can find lots of Griffith Park maps online. This one was created with visitors in mind. It shows where all the places in this guide are located. If you need directions or want to explore an interactive Griffith Park, you'll find an interactive version of the Griffith Park map here. If you just want to see this Griffith Park map in a larger size, go here. To get back to this page, just use your browser's back arrow. Griffith Park has more train rides than any other kind of recreations, with trains in three locations. One of them even has a miniature train that once belonged to Walt Disney. You can use this guide to Griffith Park Trains and Train Rides to find out about all of them. According to the National Carousel Association, the Griffith Park Carousel was built in 1926, Spillman Engineering made it originally for San Diego's Mission Beach. It was at the San Diego Expo from 1933 to 1935 and then moved into its current building in 1937. The only Spillman Engineering carousel of its kind still running, it features two chariots and 68 hand-carved horses, four abreast and every one of them a jumper. The carving is extremely fine and the details are rich: jewel-encrusted bridles and draped blankets, ornamented with sunflowers and lion's heads. Its Stinson 165 Military Band Organ is said to be the largest carousel band organ on the West Coast, with more than 1500 marches and waltzes in its repertoire. The Griffith Park Carousel is open weekdays in summer, on weekends all year long and it has extra hours during Christmas and Easter vacation. It's located at 4730 Crystal Springs Road near the Los Feliz entrance to Griffith Park and is accessible from MTA Route 96. Find out more at the Griffith Park Merry-Go-Round web page. The Autry Museum of the American West was created by Gene Autry, a cowboy star from the 1930s through the 1960s. As you might guess from the name and its origins, the Autry Museum focuses on the American Old West. If you're a fan of the old west and Americana, you can find out everything you need to know before you go to the Autry Museum in this guide. The Los Angeles Zoo is located across from the Autry Museum of Western Heritage. It's a medium-sized zoo that is known for their exciting special exhibits and evening programs. Use this guide to find what you can do at the Zoo. You can take the kids for a pony ride at Griffith Park or take yourself on a trail ride. Find out how to do all that in this Guide to Griffith Park Horse Back Riding. Griffith Observatory features space-related exhibits, star shows in the planetarium and often hosts special events. A lot of people also go to the Observatory not to see the heavenly stars but to take in the panoramic city views. You will definitely recognize it from the film La La Land and hundreds of other things filmed there, including the final scenes of Rebel Without a Cause starring James Dean. He's the one in the next photo of the Hollywood Sign. Getting there can be tricky, especially in busy weekend, but you'll know how to do it after you check out the Guide to the Griffith Park Observatory. The Hollywood Sign sits on Mount Lee, the tallest peak in Los Angeles. It measures 450 feet long and each letter is 45 feet tall. The best place in the park to see the sign (in my opinion) is at the Griffith Observatory. That's where this photo was taken. This isn't the only place you can see the famous sign from in LA. Check out all the other views of it here. The Greek Theatre is a 5,801-seat, outdoor concert venue located in Griffith park. Pollstar Magazine has named it North America’s Best Small Outdoor Venue multiple times. Built in 1929 using funds willed to the city of Los Angeles by Griffith J. Griffith (who also donated land for the park bearing his name), it sits in a canyon that has excellent natural acoustics. The theatre is named for the original, classical Greek-style stage, which has been replaced with a more modern one. The Greek Theatre is owned by the City of Los Angeles and run by Nederlander Events. According to their website, recent seasons have included The Who, Sting, Alicia Keys, Pearl Jam, Jose Carreras, the Dave Matthews Band, Tina Turner, Elton John, Santana, The White Stripes, the Gipsy Kings, Jack Johnson, the Russian National Ballet, Paul Simon with a special guest appearance by Sir Paul McCartney, just to name a few. Find out more about the Greek Theatre Los Angeles - when their season is, how to get tickets, what to take and what to leave at home. When you plop an undeveloped mountain area into the middle of urban sprawl, you get some pretty fantastic views and a great place to get away from it all. 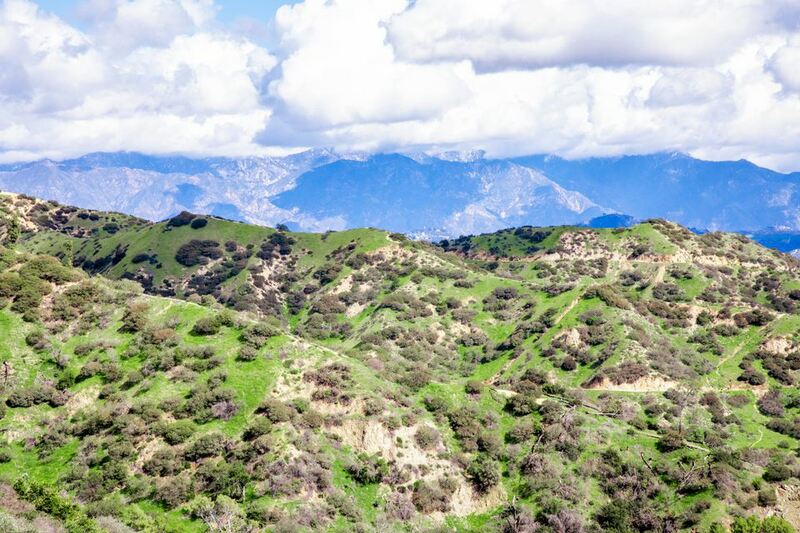 With Griffith Park's 53-mile network of hiking trails, fire roads and bridle paths, it's no wonder hiking is one of the most popular things to do there. To find out which hiking trails are best and how to get to them, use the Guide to Hiking Griffith Park. During the Christmas season, the Los Angeles Zoo hosts an evening attraction called Zoo Lights. The zoo is open after dark, with its lanes and trees full of glowing, lighted (and sometimes animated) animals. This is one of my favorite LA holiday events and it's quickly becoming a tradition to go with friends every year. Here's what you need to know about the LA Zoo Lights.